Here Supported With A Mini Review On Sh-12c. Enjoy!!! 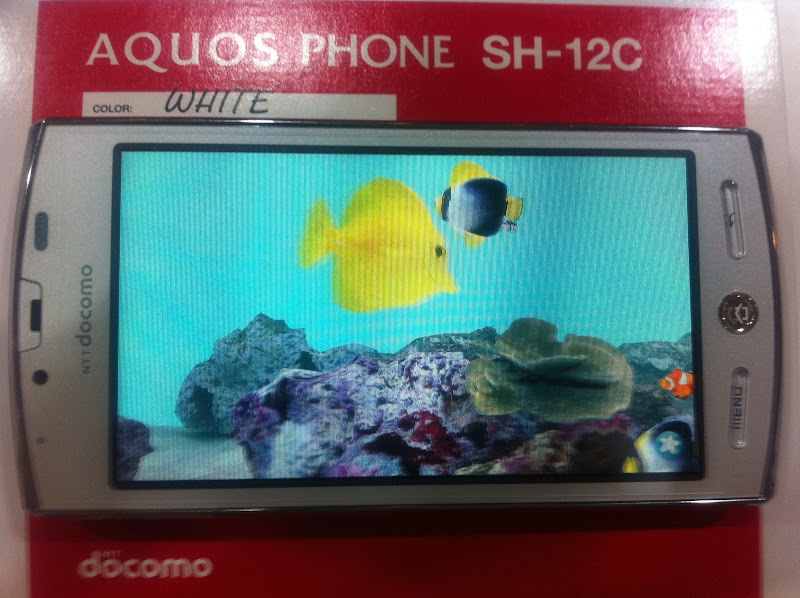 **Manage to get hold and do a small reviews on the Docomo SH-12c/SH12c White. 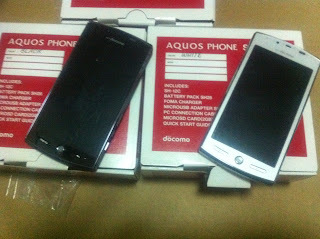 1ST MODEL to have been Official Unlock by Docomo itself. Back View of the SH12c . Saw the x2 8meg pixel 3D Camera .WAH!! Remember the slot for the simcard its abit tight so if you are using microsim adapter pls take a note try to stick it with a puller for easy taking out of the sim. ﻿Lets boot up now !! So anxious!!!!! Finally its on into the android system 2.3.3 and under settings, its not hypersim powered as theres no roaming!! ﻿Lets switch it to 3D screen Mode... Cant really tell from picture taken. Create Different Folders for Selective Applications , Make easier access to whatever u need. Testing with a 3d camera function!!! Oh just got a chance to get hold of a black sh12c also . Lets compare and which color will u like most ??? - Its using a MSM8255 Snapdragon 1.4Gzh Processor which its currently enough to handle most of the applications. - For Internet facebook games , its able to handle some of the games like farmville etc but theres still lag on that. A phone still a phone. - Compare with other models , personally i feel that it consider as premium model with its 3D 8mega Pixel Camera and Sharp Aquos glassless Display. - For Android Market Place its still default as Japan but still theres alot of application in it, but other application you cant find, you still can install from apk files found on the net. - Mp3 format supported as compare to the traditional OS of Docomo which does not allowed. Bluetooth sending files also allowed. - Default Menu only in Japanese and English but you can download chinese input from handwriting inside Market. After that it supports all viewing of Chinese Words With no missing words. - Best To have As theres 2D to 3D convertion for video & Photo with one click and for this kind of pricing comparing with Lg Optimus 3D or Htc Evo 3D.